Homemade for the Holidays: Sales! As I have said before, part of my Creative Business Journey is to share stories of people who have started their own businesses and inspire me to keep doing what I’m doing. With that in mind, this week’s My Creative Business Journey post is interrupted by a listing of all the small businesses I know that will be hosting sales online this weekend! I know that sometimes buying from handmade/small businesses can be tough because it usually means spending a little more, so this list might help lighten the load a little. I recently wrote about Alison for my Yo Momma Monday series and have felt so inspired by her slow gifting manifesto. She sells handmade heirloom celebration countdowns, all made in her home studio. She sources most of her items and packaging from independent/local businesses. 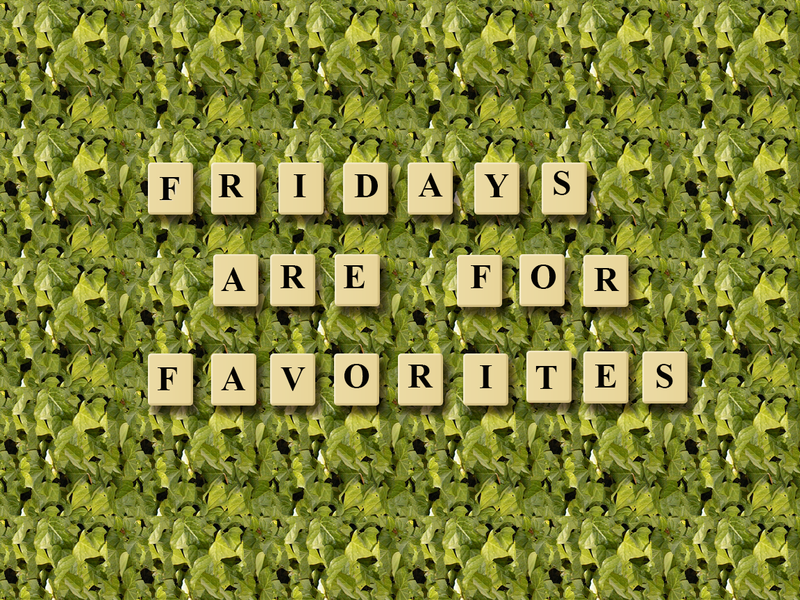 Karen Jansen is a crafty mama who creates typography art, subway art, word art, original and custom designs. She came up with the name Ink and Dirt because she not only makes beautiful prints, she also likes to work on landscape design projects! Not only is Lix a wonderful photographer, she recently opened her graphic design shop on Etsy! She offers not only beautiful prints, but iphone cases and custom branding as well. Spoil yourself with a custom branding package and get a print for your friend. Done and done! As an aspiring illustrator and graphic designer, Sam is such an inspiration. I love her work and how seamlessly it goes from print to products. The moment you see something of hers, you know who it belongs to and all of her work is so bright and fun, it immediately puts me in a good mood. I wrote about the wonderful Cody for Yo Momma Monday last week and shared all the awesome stuff she does with her business. She organized a 50-store Store Evny sale and you can view all the stores here. Sale is on Cyber Monday only. Genevieve makes both reclaimed and hand-dyed yarn in a smoke, pet and allergen free home. I virtually met in her the Oh My Handmade forums and she is always so very welcoming and helpful! Her yarn is absolutely beautiful and if I ever get into knitting again – I know where I’m headed! Let me just say, best coupon code I have ever seen. Ever. Melissa and Nicholas discovered a mutual love for handmade paper items after planning their wedding. How freaking cute is that? They have a lot of meaningful cards for all the occasions, like this sweet anniversary card. I can’t wait to share their full story in my Meet the Maker series soon! Leslie started this company after her first son was born and she wanted some hip clothes for him with a personal touch. Now a mama of three, she is always working on adorable new graphics. I was just introduced to this shop through Facebook, and I think I might be in love. My little one loves books. She likes to flip through them, and mostly to eat them. Home Grown Books are all art-based and eco-friendly books, made through an entirely green process. The paper is recycled and sturdy (good for those inquisitive mouths) and the books are 5.5″ by 6.25″ – perfect for little ones! There are seven books in a set, and the artist of each set is spotlighted on the website – which I think is amazing, and unfortunately isn’t done enough. I have come to the realization that I won’t be wearing jewelry for a long time. At least until my daughter stops pulling at literally everything I wear. Not that I wore too much jewelry in the first place, but I do have a special place in my heart for fabric rings like the one above! Madeline makes all of her jewelry by hand, and she takes custom orders. You can also find a listing of shops with holiday sales on Omiyage – a crafty blog featuring the amazing Washi tape. I actually went on to Oh My Handmade to announce I was going to compile this list so people could promote their sales, when I found out that she was doing the same thing! A lot of these lovely people are from that community so there may be the same shops on her list. I’m going to head over there as well, to see if there are any sales I missed out on! If you are hosting a sale this weekend, or you know an awesome shop that is and I didn’t know about it, please leave a link in the comments and on Facebook, Instagram and Twitter with the hashtag #shopsmallsales. You can also find more holiday sales on my Pinterest. 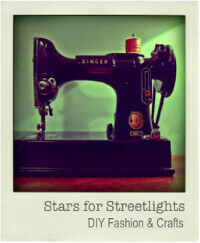 If anything, I hope this inspires you to shop small and handmade this holiday season. Last week, I decided to try the Vegetarian Lentil Soup that I shared from Relishing It. Turns out, I didn’t have all the ingredients listed in the recipe. Also, I might have forgotten that I needed to cook the dry lentils before adding them to the soup, which led to quite the experiment in lentil extraction. Needless to say, I had to improvise a little. And the soup turned out good. So good, in fact, that I decided to share my version of the recipe with you. You can find the entire recipe by visiting Relishing It here. I did not use a dutch oven – just a regular soup pot. I threw the potatoes and carrots in first, since they take the longest, and I threw everything else in as I chopped it. I also topped mine with fresh avocado…which of course was perfect…because it’s avocado. We decided that, again, it could use a little more of a kick so I will add some chilli peppers next time. We also reheated it up today and threw in a cup of rice to add a little variety to it. Few days later, and it was still just as good and hearty. I love soup season! Do you have a favorite healthy soup recipe? Or did you give this one a go? Share in the comments and on Facebook, Instagram and Twitter with the hashtag #myhealthylife. You can also find more healthy inspiration on my Pinterest! I will continue to share more recipes, exercises and blogs that I find awesome and worthy of sharing…so please let me know of any that you would love to see on the blog! Meet Bev Feldman, 31, from Cambridge, MA who is the newest mama I know, and the jewelry designer behind Linkouture – the modern chainmaille jewelry company that she started in 2010. She welcomed her first baby, Eve Lily Feldman, on the 17th of this month. This interview was completed before Bev had her baby. You can read more about her sweet baby girl here. Her Etsy shop is currently in Vacation mode until the end of January for some mama/baby bonding. Bev was first introduced the jewelry making business in the third grade, when she and her friends made and “sold” safety pin beaded bracelets to their classmates as part of a project for school. Then in the seventh grade, Bev participated in her very first craft fair – where she sold daisy chain necklaces and bracelets. It wasn’t until she discovered chainmaille on Etsy that she got serious about her craft. With a background in both education and human services, Bev worked with Cambridge children and families who dealt with autism – organizing playgroups, doing outreach and general family support. Before she decided to take her business full-time, she traveled around South America for five months with her husband. Bev initially started her blog as something she was supposed to do for her business and write a whole lot in the beginning, as she was more focused on the blog she shared with her husband – Flight of the Feldmans – where they chronicled their five month journey in South America. Naturally, Bev’s pregnancy altered her work, especially in the first trimester and by the second trimester, she was feeling more like herself again. Once she hit the third trimester, it more affected the physical aspects of her work – like lugging around heavy tents at the local craft fairs she attended. Bev has always loved going to craft shows and knew that was something she needed to participate in to really get her business rolling. Like anyone who is just starting out, Bev was nervous about applying and says she has been rejected from a couple of shows. However, she has also been surprised by the shows she did accepted into. Depending on what’s going on that week, the amount of jewelry Bev makes per week varies. If she has a craft show one week, she will focus on creating new pieces and restocking her inventory – meaning she will average about 30 pieces per week. Other weeks, she will focus more on blogging and less on creating jewelry. Bev’s workspace also doubles as their kitchen table, which she says drives her husband a little crazy, especially when she is making jewelry! The large size and brightness of her kitchen makes it a good space to work, although she would love to have a little studio of her own, one day. She says her inspiration for designs can either come from wandering around a bead shop for a while and looking at all the different beads, and sometimes an idea might just pop in her head. Jewelry wasn’t the only thing Bev started as a child – she also got into knitting in the fourth grade, when she was home sick for a day. Her mom got her some knitting needles and yarn, and taught her the basics. She didn’t pick it up again until she was sophomore in College and saw some people doing it, then she got a book and retaught herself. Now, she will do it as a social activity but says she never got into it the way she did with jewelry. She also took woodworking when she was in middle school and loved it, and would like to take a class again. Another hobby she has wanted to try for years is glassblowing. For Bev, the best thing about running her own business is learning new skills that she probably wouldn’t use otherwise, and making her own schedule. The scariest part is identifying herself as both a jewelry artist and a blogger. She recently started a series of interviews with a variety of makers because she wanted to support other handmade businesses, something she knows needs to be done as a small business owner herself. She was inspired to start this because she is always amazed at what other people are doing and wanted a platform for sharing what she found with a broader audience. Looking into the future, Bev dreams of putting a book together for children and parents. Through her, she hopes that people will find inspiration to start businesses of their own. You can find out more about Bev and Linkouture by visiting her website and connecting with her on Facebook, Twitter and Pinterest. 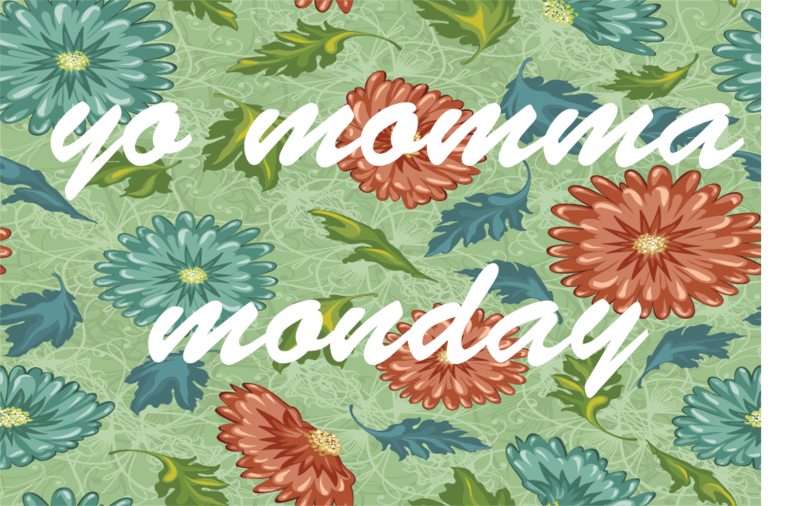 If you have an idea for Yo Momma Monday, let me know by posting in the comments or using the hashtag #yomommamonday in your posts on Facebook, Twitter and Instgram. Visit my Pinterest to find more awesome mama inspiration! With a couple birthdays in one week, it has been a little challenging staying on track with my healthy plan. But, I told myself a long time ago that I would not force myself to be perfect 100% of the time. Sometimes your family will have Mexican food multiple times in one week, and heck…you might feel rebellious and go for the beans and Spanish rice. As long as it doesn’t become a normal thing, and you stay active…you will be just fine. This is preparation for Thanksgiving, anyway. That said, between chasing after my baby and going on weekly walks with my friend, I haven’t seen an increase in my weight. Hooray for that! Since this is the perfect weather for some soup, I thought I would share a couple healthy soup recipes that I got from Greatist the other day. I love soup so much, and it’s an easy way to stay healthy. The only issue can be making sure you get enough flavor. I’m pretty stoked to give these recipes a try. Hearty Chicken Stew with Butternut Squash and Quinoa from Cookin Canuck – I’m literally staring at my butternut squash that I haven’t had a chance to do anything with, so this would be the perfect recipe for that. I also have some quinoa that I am always trying to hide in our meals, so it’s a double bonus! I have shared a recipe from Cookin Canuck before, so obviously I’m already a fan. 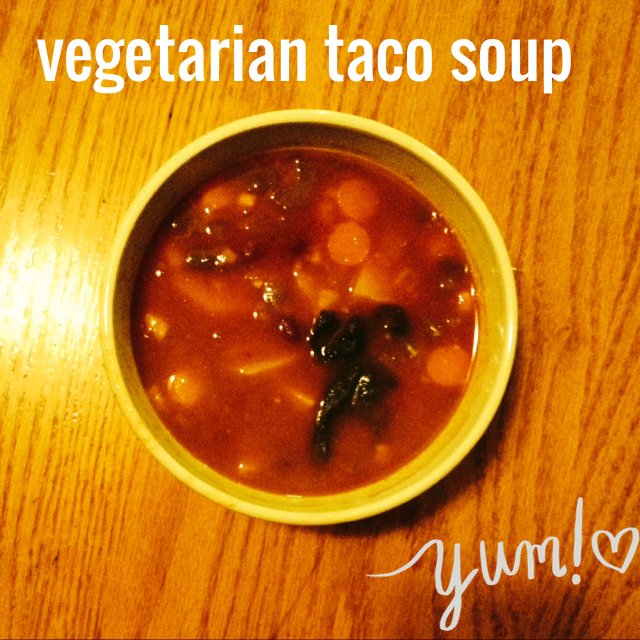 Vegetarian Lentil Taco Soup from Relishing It – I must admit, after being a vegetarian for several years (I had to stop when I got pregnant due to some issues I had and now cooking for two meat lovers, I’m vegetarian for 2/3 meals), it can be hard to get flavor out of vegetarian soups. But this taco soup looks delicious, and I think the boys might even eat it, too. Once I saw the jalapenos and cilantro, I knew I would be good. Laurie, who runs Relishing It, is a mama of two, a foodie and an organic cook. She has a lot of good recipes on her blog! While I was on Greatist’s site, I found a Here’s to Healthy contest, that you can enter right now. All you have to do is follow Greatist on Pinterest (done) and pin things that inspire you on their #healthyishappy board (um, done). Click on the “Here’s to Healthy” link to enter! Are you ready to take this pledge with me? To include healthy and real ingredients in our food and to remain active – no matter what the activity is? I would love to get this healthy party going. I will be sharing more and more healthy recipes, workouts and yoga routines that I feel are worth sharing, and introducing more real food bloggers. If you would like to join me on this journey, I would love to have you. Connect with me on Facebook, Instagram, Twitter and Pinterest and share your journey with me by using the hashtag #myhealthylife or tag me in the post. Some weeks are just weird. And even though it’s only Monday, I have a sinking feeling that this week might be just a little off. I’m hoping that I’m wrong, and I understand that I’m the only one who can change the outcome on my week, so I’m working hard to do that. I have four weeks of school left until break and I could not be more excited to have some time off to just craft and focus on my little businesses. I joined The Weekly Wishes linkup just to see how I would like it, but it now serves as inspiration for my week. I frequent my post through the week to see what I’m accomplishing and what I still need to get done. Last Week’s Wishes: Design the logo for Baby Burrito Collective, get the supplies I need for my projects, keep my yoga routine going, get some winter plants from the hardware store. How I did: I am finished with the logo for the Baby Burrito Collective. Woo hoo! I might switch the font when I have some money to buy a font that I love, but for now…I’m happy with it. I was able to get in a couple yoga sessions, but not like I did in the past. Still hoping to incorporate yoga in my daily life. And no winter plants yet! They are too danged expensive right now, so I’m going to use this time to make my garden area beautiful, then when I have money to get the plants, I won’t have to worry about the garden area! Business: Work on flyer to go on the front page of the Baby Burrito Collective website. Once the flyer is done this week, I will be able to update the website to my liking. Then, I will feel more comfortable promoting it and my work more. Here is the logo I created. What do you think? You can learn more about my Creative Business Journey here. Fitness: Get a yoga routine down. I’ve done it before in the past, and I need to focus on doing it again. I always feel so good after a yoga session, and it helps when I’m feeling overwhelmed. I need to just focus on getting back into yoga. Keep eating whole and healthy food. 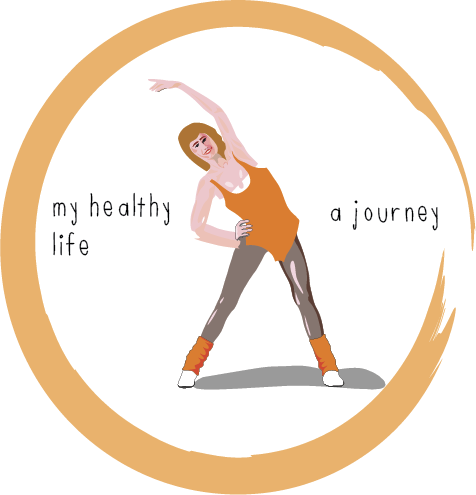 Check out my healthy life journey here. Home: Work on my garden to get it ready for my new plants. Organize my craft closet and little office space. Designate an area for stuff I want to work on, and finished projects. Make a special area for Christmas presents.